A belated thank-you to Sadie who had the foresight to save her mother's diaries for future generations to enjoy. The Appendix below was written by Jim GREGG. All the folks mentioned in the appendix can be viewed in the Deep Roots & Tall Trees database. Just click on the high-lighted names to see the family connections. I thought it might be interesting to follow up on the families and some of the young people that Sadie mentioned in her diary and find what became of them. Louisa ROUMEY married Jonathan "Daunt" METCALFE. They farmed on the 14th Con. of Greenock and later retiring to Cargill. They had one adopted daughter, Florence METCALFE. John ROUMEY married Rebecca ALEXANDER and farmed on the 12th Con. of Brant before retiring to Eden Grove. They had no family. Samuel ROUMEY went to Manitoba and there married Mae MORE. They farmed in the West Hall district and retired in Hartney. They had no family. Eliza Jane "Bess" ROUMEY was married to George SAWYER and lived on the 14th Con, of Greenock before going to Manitoba and later to Saskatchewan where they farmed in the Wiseton area. They had a family of two sons and one daughter. William ROUMEY and his wife Maud PARKER farmed in Brant Twp. They had two sons, the first son died shortly after birth. Harvey ROUMEY went to the U.S.A. and married Maybelle BAKER. They lived in Detroit and also spent some time in California. They had one daughter. 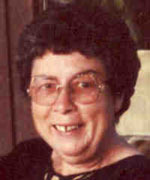 Frances ROUMEY was married to Nelson FLETT and farmed on the 14th Con. of Greenock. Fan died shortly after giving birth to a daughter. Sadie ROUMEY met her husband Alex CAMERON while working in Toronto. After they were married they moved to the U.S.A, where a son and daughter were born. 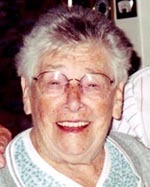 Sadie died following the birth of the daughter and Alex brought the baby back to Canada for her grandparents to raise. Lila ROUMEY went to Manitoba to visit her brother Sam, and while there met Mae's younger brother Colin MORE. They were married in the west and farmed near Regent Man. and later retired to the village. They had two sons. Ida ROUMEY married Elmer GREGG in January 1923, who with his partner Mel REID operated a general store in Honeywood. After Elmer's death less than two years after their marriage Ida returned to the Roumey farm with an infant son and Sadie CAMERON and cared for her widowed father until his death in 1931. Ida purchased the farm and lived there until ill health forced her into a nursing home. John Aylmer REID first became a teacher and later graduated in medicine from the University of Torontoto become medical doctor. During the First Great war he served overseas with the 8th Field Ambulance.He married Jean McCrae in 1913 and they settled in Calgary. Angus McMillan REID relocated to Saskatchewan where he married Mary "Amelia" Guinan. Alma Jean REID graduated from Grace Hospital, Toronto, in 1915, and worked as a R.N. in Toronto until 1930 when she returned to home to care for her brother Mel's family. Donald James Melville "Mel" REID - completed Normal School and also taught at the Pinkerton School, in 1923 he married Hattie Gale who passed away in 1930 leaving four small children. 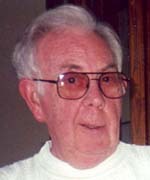 Joe STEWART became a United Church minister. The family name Mateer that is used throughout the diary is actually McTEER. Photographs of McKee's Mill and Work Crew from the Greenock Township History 1856-1981. Most other photographs from a collection of Bruce County Postcards assembled by Christina "Stien" Vanderplas, formerly of Paisley.